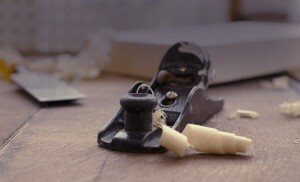 Carpenters Ottawa used to be defined only as a person who makes and repairs wooden objects and structures. At least – that’s the dictionary definition. We define Carpenters Ottawa as much more. Today the carpentry trade encompasses more than just wood working. It’s everything from framing to finishing, covering many aspects in between. A registered carpenter must be signed up with the Ministry of Training, Colleges and Universities and undergo over 7,000 hours on the job experience and complete 3 levels of theory and practical study just to be eligible to write his or her Red Seal Carpentry exam. We at Gordmay Construction support our local apprentices and strive to ensure the Ontario Building Code is followed in our every day practices. There are a few different types of carpenters, but the majority of our team are finished carpenters which means we specialize in the finishing details after rough carpentry is completed. As such, a very high level of detail and skill is involved. 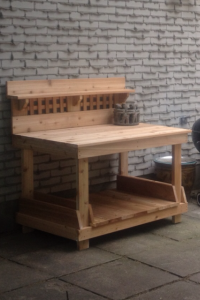 Take a look at this little garden table Gordmay Carpenters Ottawa built with some left over pieces of cedar after we built the client a beautiful deck. This project took about 20 minutes and will provide enjoyment for years to come! Our team takes pride in our work and customer relations. We will work with you toward accomplishing your project, no matter the size. Call the experts at Gordmay contact us today to discuss your project.